VISIT APPLES OF GOLD JEWELRY FOR OUR CURRENT SELECTION. The G Zone Polanti Watch with date display. 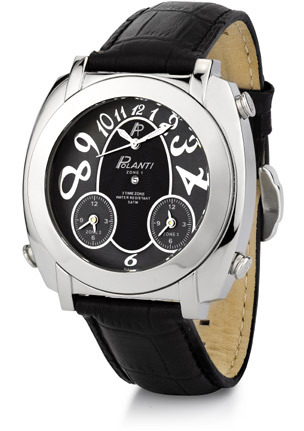 We guarantee our G Zone Polanti 3 Time Zone Watch to be high quality, authentic jewelry, as described above.